Stealthy Wealth: Living In Cape Town - The Definition of Stupidity? Living In Cape Town - The Definition of Stupidity? Word out on the street (Long street?) is that property in Cape Town is really expensive. Like crazy expensive. As in Donald Trump crazy. But just how bad is it? I decided to look a little deeper into the topic, and I think the results will surprise you. To get a gauge of property prices in South Africa, I visited the Property 24 website. They have a really nice section where you can view the property trends of the city/suburb you searched. Then they break it down showing the average listing price of properties on the website according to number of bedrooms. This seems like a good representation of the property values of an area? Bear in mind I am not vouching for the accuracy of any of the data, I am just using it and interpreting it as I see it. Of course to say something like "Cape Town" or "Johannesburg" is very broad, and there are literally 100's of suburbs in each city, with very different characteristics, features and prices. So taking an average value is oversimplifying, but bear with me. The results are below (accurate at the time of writing - naturally these will change as time goes on). Cape Town Property Is Expensive? Confirmed! So yes - Cape Town is expensive. Really, really expensive! Seems that damn mountain has made property prices around 3 times higher than most of the other cities. But to just look at "average property" price is maybe a little crude. It is probably better to look at "property affordability". Maybe salaries in Cape Town are 3 times higher than elsewhere? (I know, I know, highly unlikely - but let's see how it goes). To get an idea of incomes across the cities in South Africa I used the Payscale website . The site allows you to find average salaries for specific cities according to a number of filters. Now I am going to oversimplify to the extreme here and use the average income of an Office Administrator for a city as a proxy for the average income of that city. I am not picking on any office Administrators, it is just that that particular job showed up on all the cities, and so it is the easiest to use for comparison. The chart below shows the average annual income for an Office Administrator across the various cities in South Africa. If you're an Office Admin, Sandton is where it's at! Shock and horror, the income in Cape Town is not 3 times higher than everywhere else. In fact, the incomes are all pretty much in line across the cities (around the R110k mark), with the exception of Sandton, which seems to pay better than everywhere else. Now that we have average house prices and average income for the cities, we can compare the affordability of property across the different cities. I define property affordability as the number of years worth of average income it would take for you to pay for an average priced house (i.e. Affordability = Average Price/Average Income). The smaller the number, the "more affordable" the property is. Using this definition, I calculated the affordability of one, two, and three bedroom houses. Congrats Cape Town, winner of the least affordable housing award. So immediately obvious, and what everybody has been saying all along - wow Cape Town is expensive! It quite simply dwarfs everywhere else. Even knowing that my assumptions about property prices and incomes may be flawed, and the calculations overly simplistic, Cape Town is such a massive outlier that there is really only one way to interpret it. If you live in Cape Town your housing bill is at least twice as much as anywhere else. From the chart, Sandton is the obvious second least affordable city. As for the rest of the cities - well, they are more or less in line, and nothing glaringly obvious between them (except for maybe the affordability of 3 bedroom houses in Centurion). To summarise - by moving from Cape Town to any other city in South Africa, you will at least halve your housing expense (and more than likely slash it by a third). What about renting in Cape Town? I couldn't find any average rental costs for cities on Property 24. However, there is usually quite a rigid relationship between property prices and rental rates. So I think it is reasonable to assume that the rental picture is probably about the same? In other words renting in Cape Town is just as unaffordable as buying. 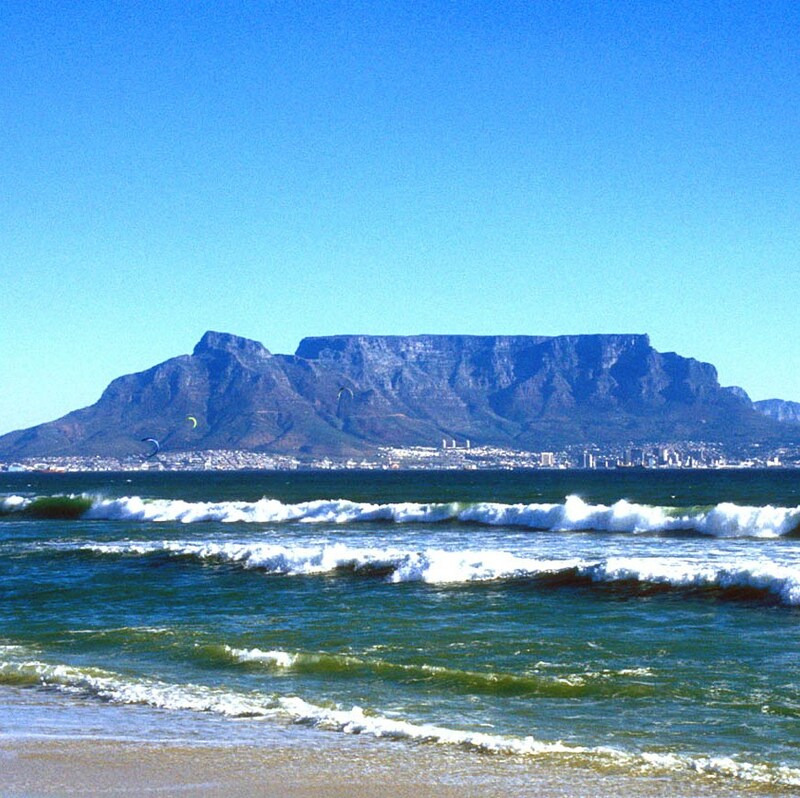 If You Live In Cape Town, Should You Relocate? Well - the numbers scream a very loud yes! 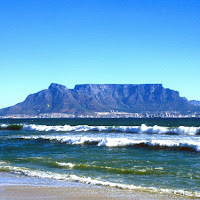 By staying in Cape Town, you are possibly giving yourself a serious financial handicap. But, of course, that is very easy for me to say sitting on my high horse here in Centurion. If I was living in Cape Town, would my view be different? I mean you don't see me packing up and heading off to Pietermaritzburg just because it is cheaper. Also, and believe me I know, it is very seldom just about numbers. There are a magnitude of reasons for choosing to live where we live - family, friends, familiarity, occupation, political affiliation etc. etc. etc. And, with Cape Town especially, there are also a number of compelling qualitative arguments to support the decision to live there. Furthermore I can appreciate that if you are married and/or have children, the situation is even more complicated. Then there is also the fact that averages are dangerous. It is very unlikely that the "average property" in Cape Town is your property. And of course your income and occupation is probably very different to that of an Office Administrator. But having said all that, if you are living in Cape Town, maybe you should at least be giving relocation some thought? Living in Cape Town is a choice, and like most choices, there is a financial implication (and in this case a very large one). To be more accurate, check your current occupation's salary, and then divide the estimated price of the house you currently live in/want to purchase/are renting by that number. This is your current affordability number. Then check what you could realistically earn in a different city (if that is possible). Next look for a suburb in a cheaper city that would be a comparable commute (although if you going to relocate, do it properly and move really close to your work) and check the price of an equivalent property. Divide this by your new expected salary to get your new city's affordability number. Compare this to your current affordability number. If there is a significant difference, it is maybe time to give relocation a long hard look. If you already own a property in Cape Town, bear in mind that relocation does not necessarily mean selling your current property and re-buying in a new city. You could rent out your current Cape Town property, and then rent an equivalent property in your new chosen city. Doing it this way could result in rental income which is 2-3 times more than your rental expense. You could then invest the "rental gap". This may be an option for those who believe Cape Town property is worthwhile owning over the longer term going forward. Are You Serious About Accumulating Wealth? If you are serious about accumulating wealth and retiring comfortably, or early (perhaps even in Cape Town) then I do not think you should be spending your working years in the Mother City. Your working years are often referred to as the wealth accumulation phase of your life. So shouldn't you be doing everything in your power to accumulate wealth during this time? Housing is usually the largest item on a family's budget, and if you can reduce the largest item on your budget, you will be making some massive strides towards getting your cost of living down. And if you are disciplined enough to invest the savings, then you are probably looking at a very comfortable, or possibly even an early, retirement. The savings from reducing your housing expense can easily run into the millions over a working career.